Get a Horse! (film) Mickey Mouse cartoon. 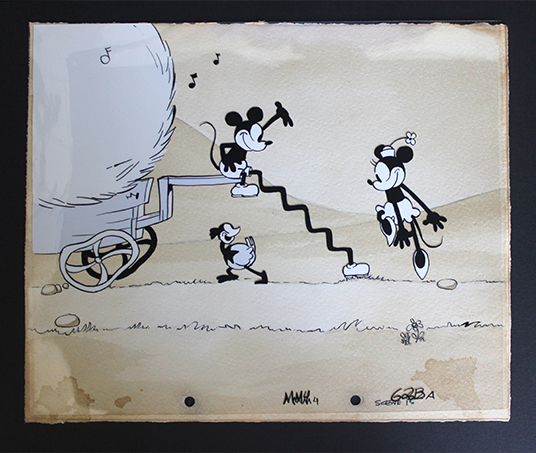 Mickey and Minnie Mouse, with their friends Horace Horsecollar and Clarabelle Cow, delight in a musical wagon ride. Released initially at the Annecy Animation Festival on June 11, 2013. Theatrical release on November 27, 2013, with Frozen. Directed by Lauren MacMullan. 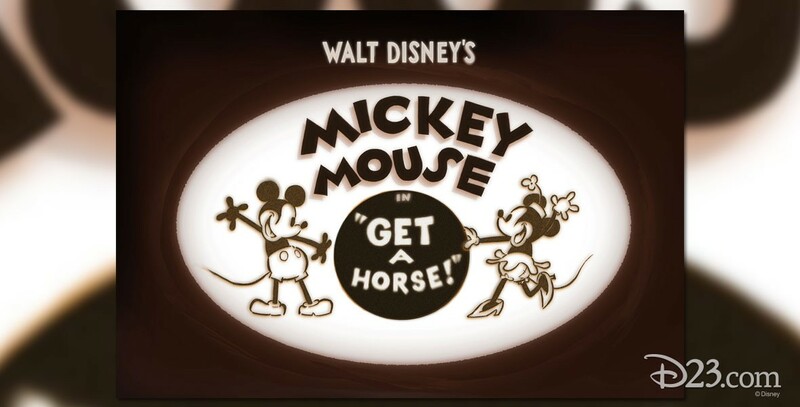 Using archival sound, Walt Disney provides the voice of Mickey, Billy Bletcher is Pete, and Marcellite Garner is Minnie. 6 min. From Walt Disney Animation Studios.